The first in the series of new designs. I say series but I mean 2 new designs. 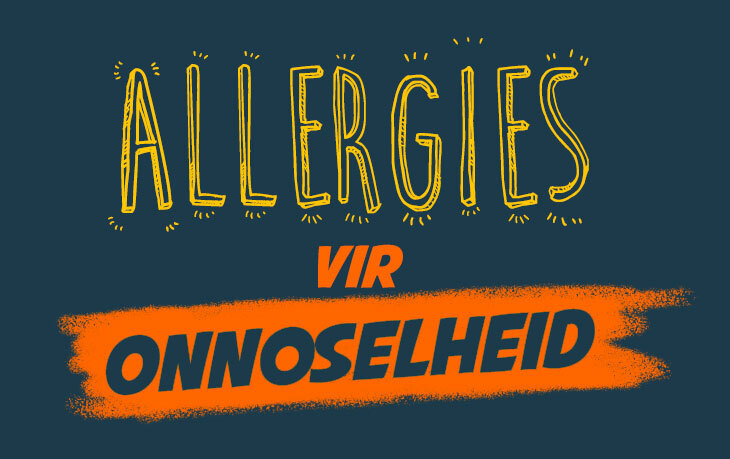 In the tradition of our Jammer and Poephol designs we bring you Allergies. Onnoselheid is such a cool word. Almost as cool as Naaldekoker which is probably the best Afrikaans word. Ok maybe Naaimasjien… A debate for a later stage. So I present Allergies. Soon to be in a Big Blue near you. keep your eyes on the site for the next design to be unveiled in the next week.